the gardener who has everything probably hasn’t got this ..
Nunki is an ingenious weeding tool. 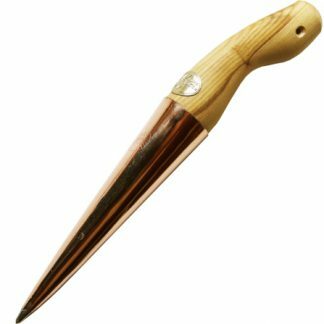 It has a beech handle and a sharp curved bronze blade, which allows the gardener to scuffle the soil and loosen weed roots in a simple action. 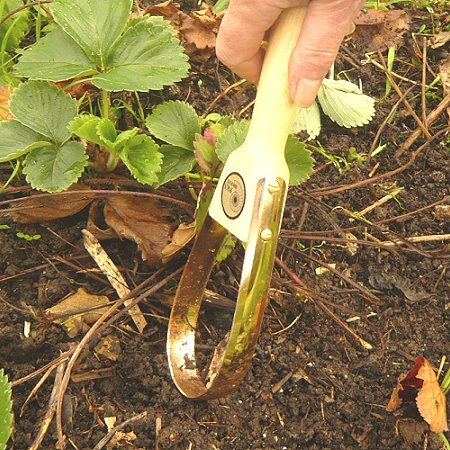 The hooped blade allows the gardener to remove mat-forming weeds such as speedwell and chickweed from close to established plants without damaging them. The sharp edges enable the gardener to tidy up between rows of plants in a swift, sweeping action. The sharp edges enable the gardener to tidy up between rows of plants in a swift, sweeping action. And here our friend Anne uses her Nunki Weeder on her raised bed. And here is a blog post from another Nunki enthusiast. “I have just received the Nunkie weeder. It is indeed an ingenious device! It is not only a weeder it cultivates as well. 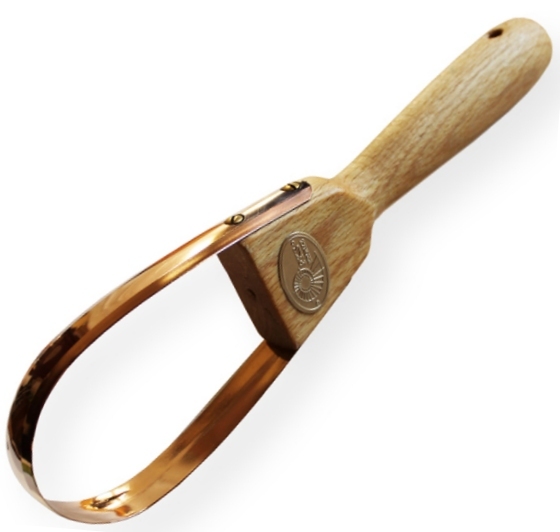 The tools can be sharpened with an ordinary knife sharpener or sharpening stone. The only difference compared to sharpening a steel blade is that we advise you move the sharpener across the blade at a slow pace, slower than you would when sharpening a steel knife. When I took on my allotment earlier this year I decided to use a deep bed system with the beds sixteen feet long and four wide. I have found that I can easily use this device to hoe between plants that are quite close together. 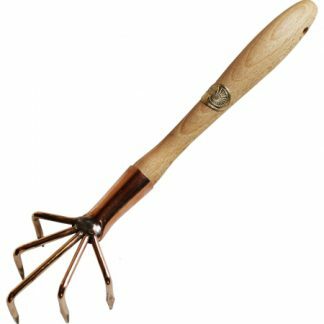 Yes, I have to bend over for quite a while as I have numerous beds but I find that for close, delicate work this little hand hoe is ideal. 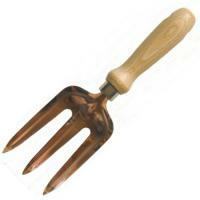 This is my favourite gardening tool. I have one on my allotment and one for my garden. The only problem is that it camouflages itself and I can spend ages trying to find it again. A bit of coloured string round the handle helps. I love this so much I have given it to several of my gardening friends as presents and have 2 in case I inadvertently lose mine. 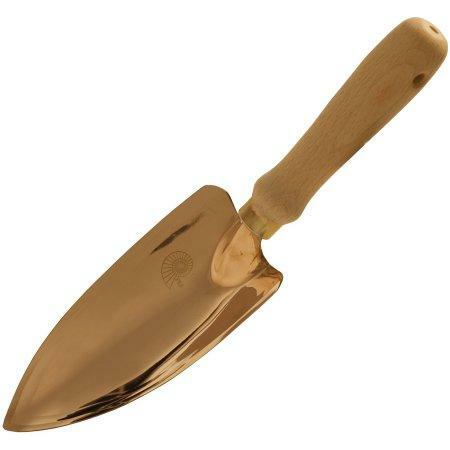 I use it for weeding the whole time and it’s my favourite tool, followed closely by the narrow trowel. Brilliant tool. Just moved into a new home full of weeds and this simply made the job so much easier, it”s a dream to use. As always the tool feels so nice to use, but the nunki turns over the soil to a good depth and that is a real benefit. This is the best gamrden tool I have ever had, full marks.